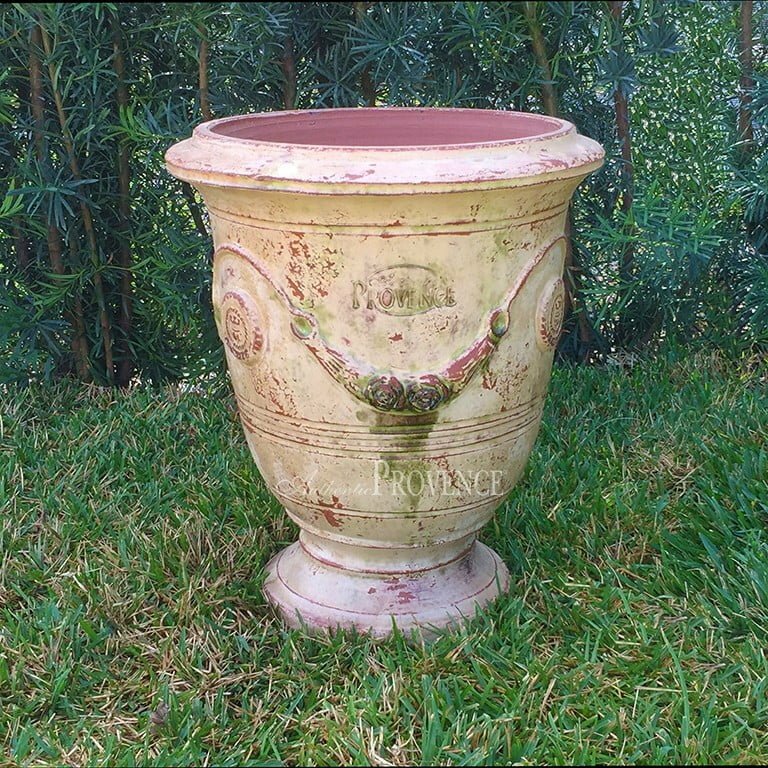 Hand made in Southern France, this colorful French Vase d’Anduze originated in Provence and first appeared in the 16th Century, during the reign of Henry IV. 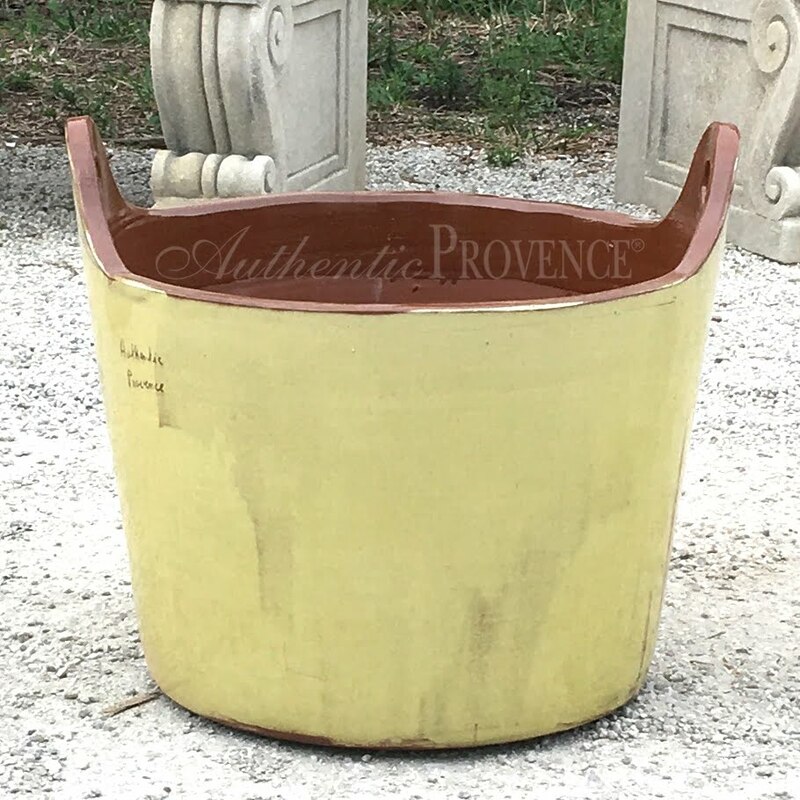 The craftsmanship of these French garden planters spread quickly throughout the region of Provence. 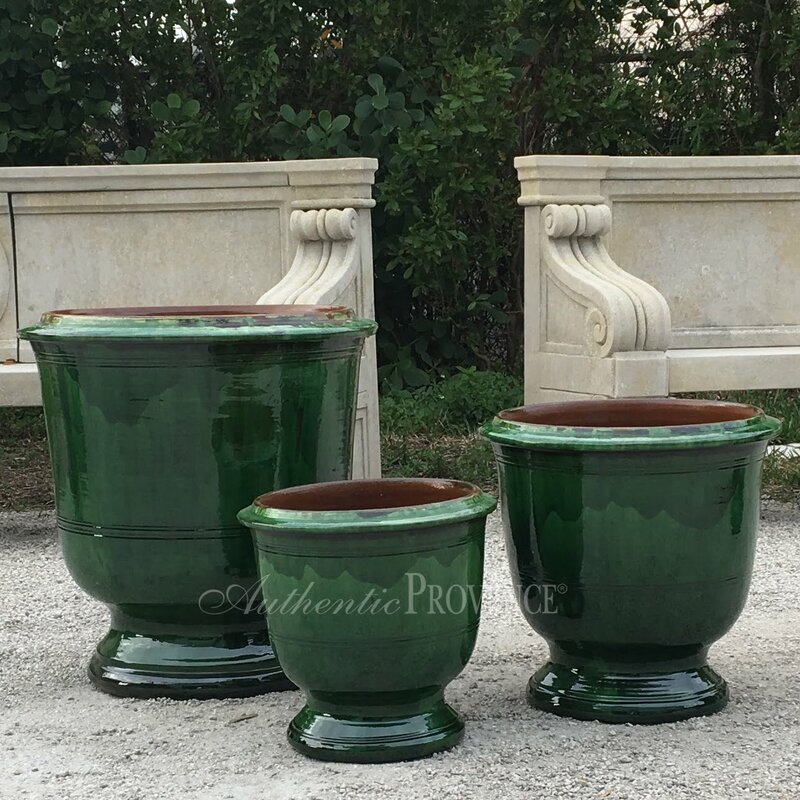 The design of this glazed pottery has endured through contemporary artisans, who still make these vessels by hand the same way their ancestors did. 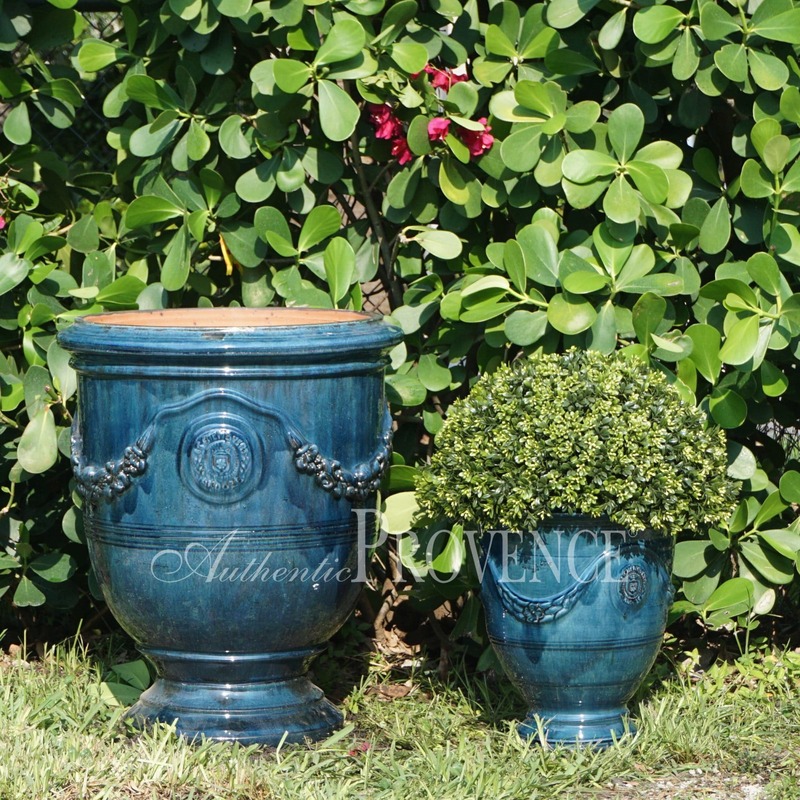 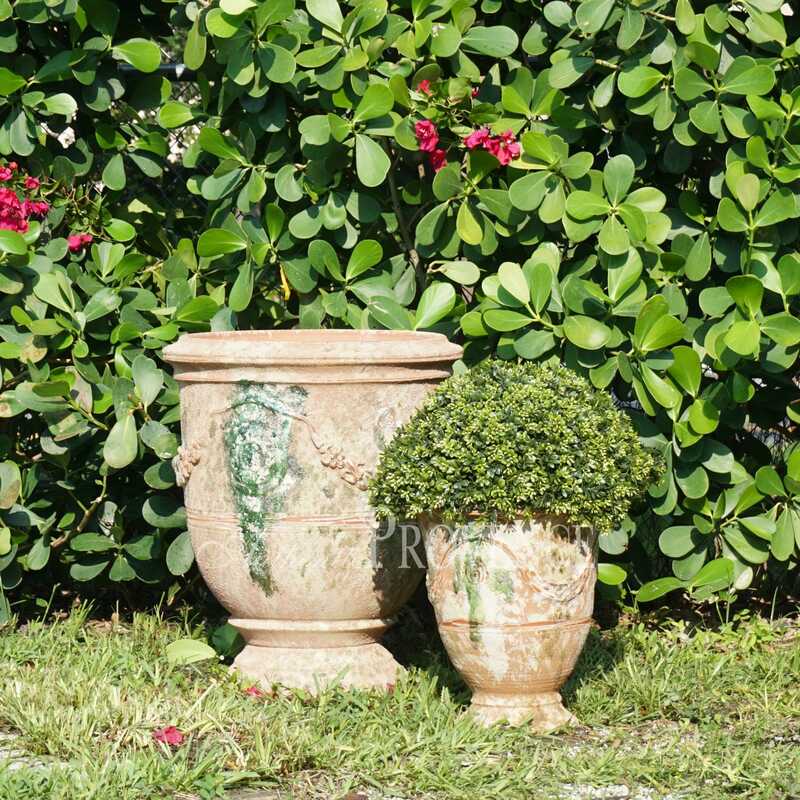 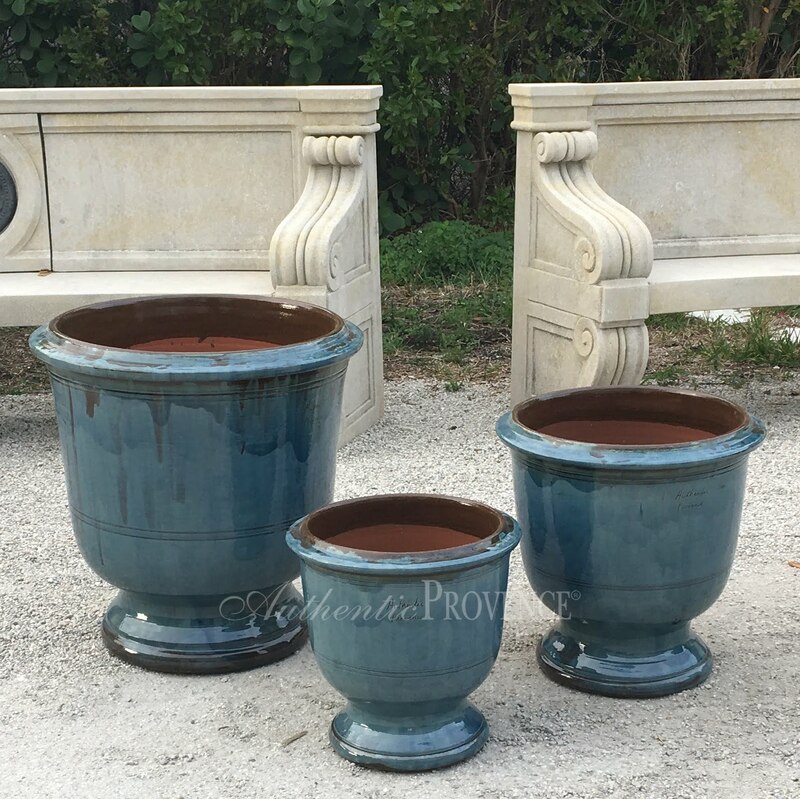 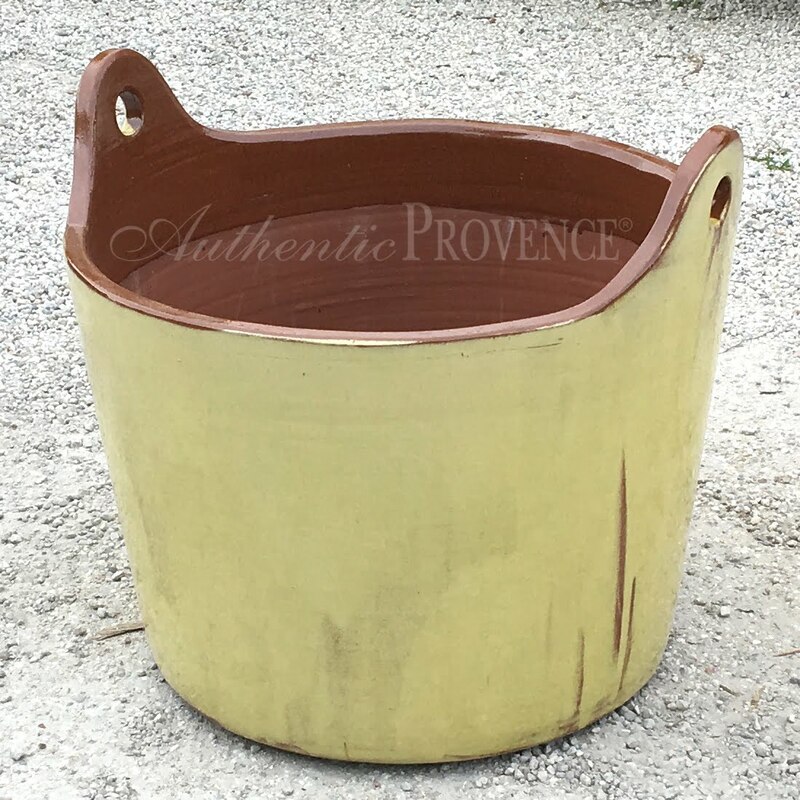 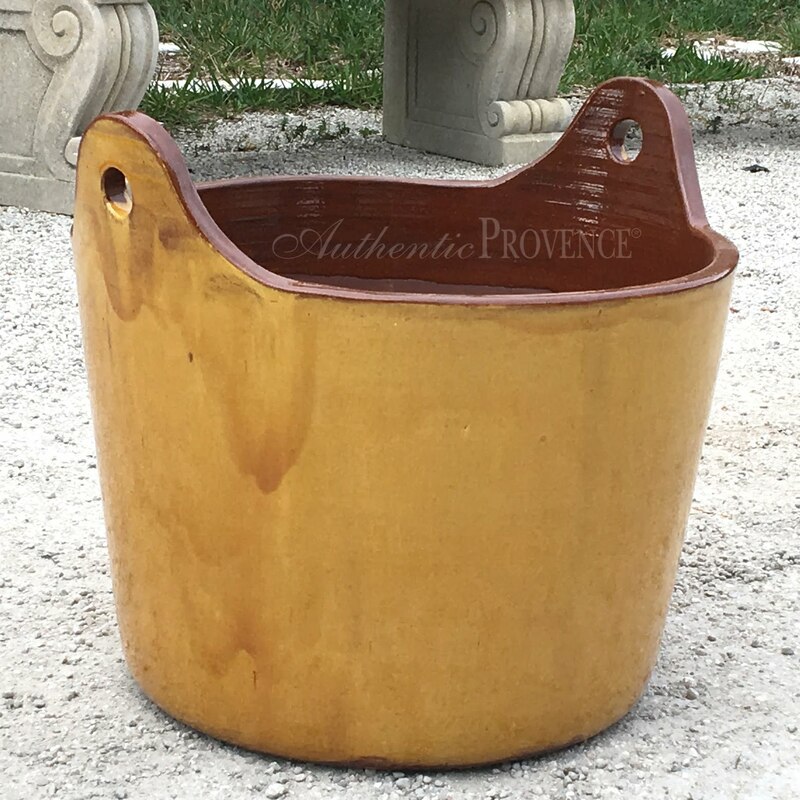 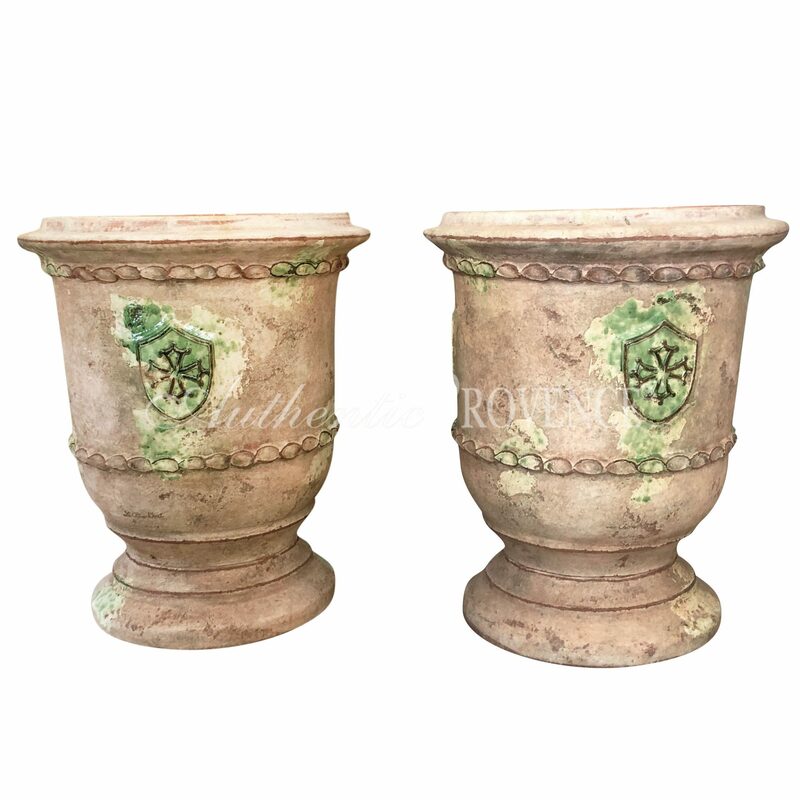 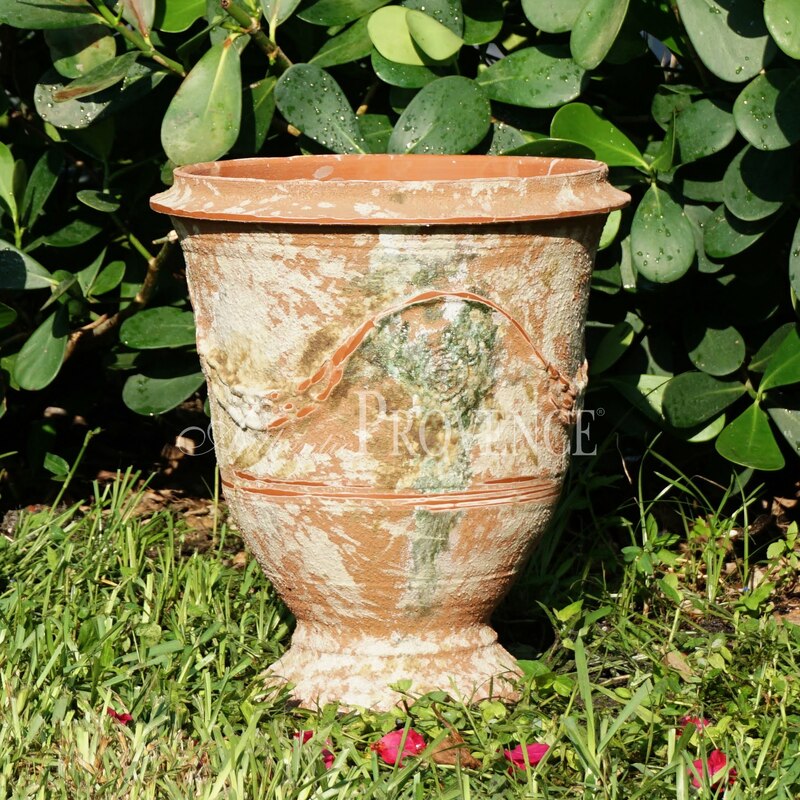 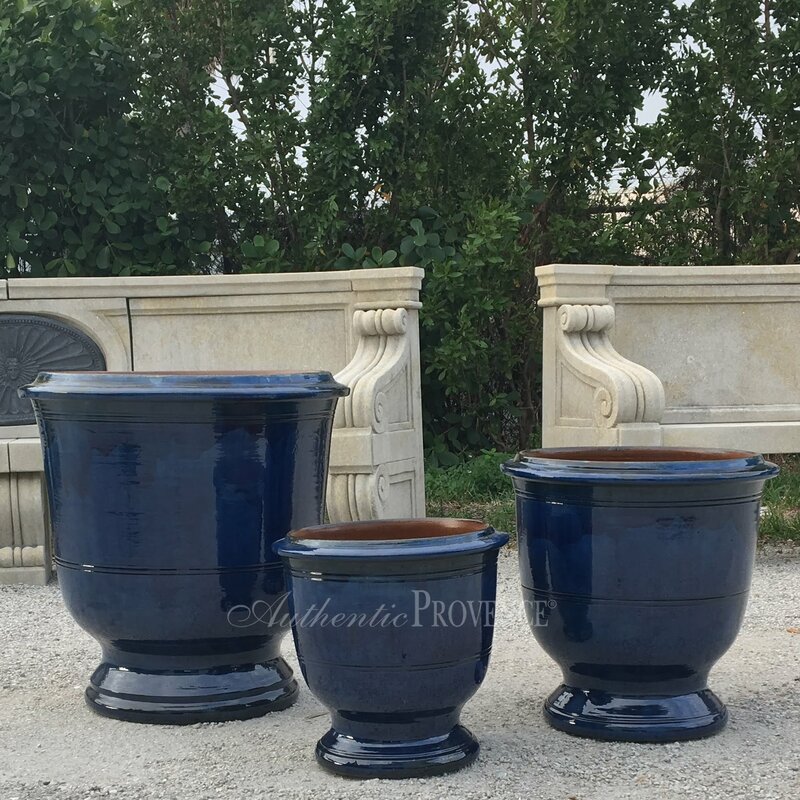 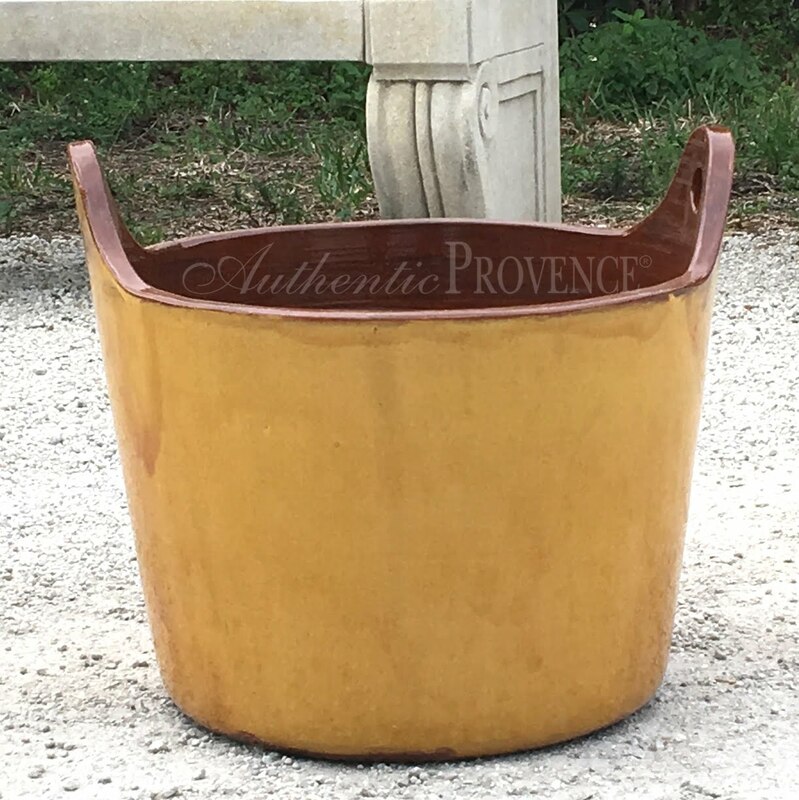 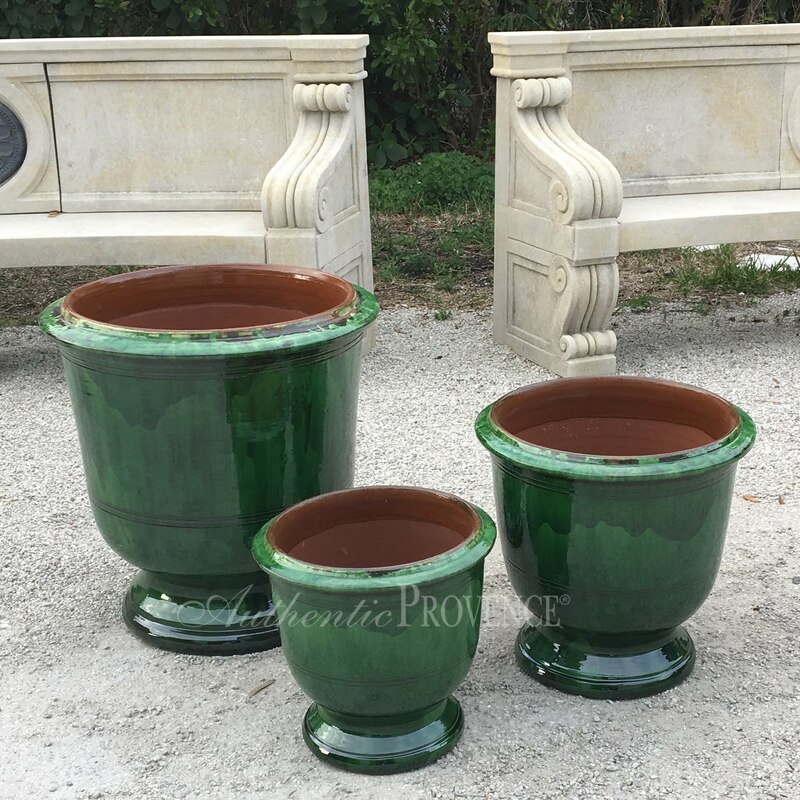 The French Anduze planters and pottery are colored in a glossy glazed finish as well as in an antiqued finish. 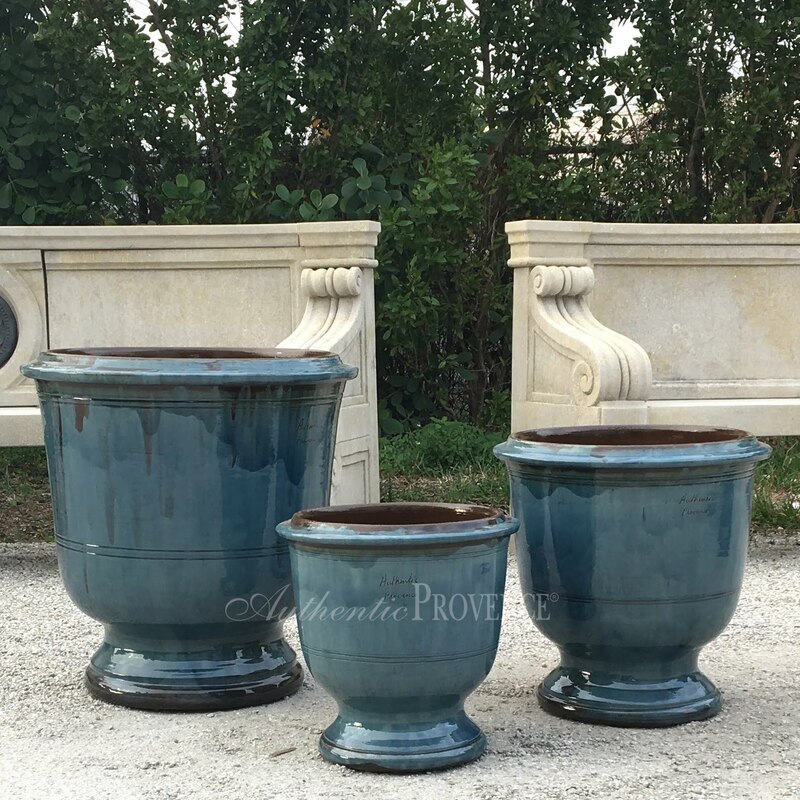 The sizes are ranging from 12” to 41” in height. 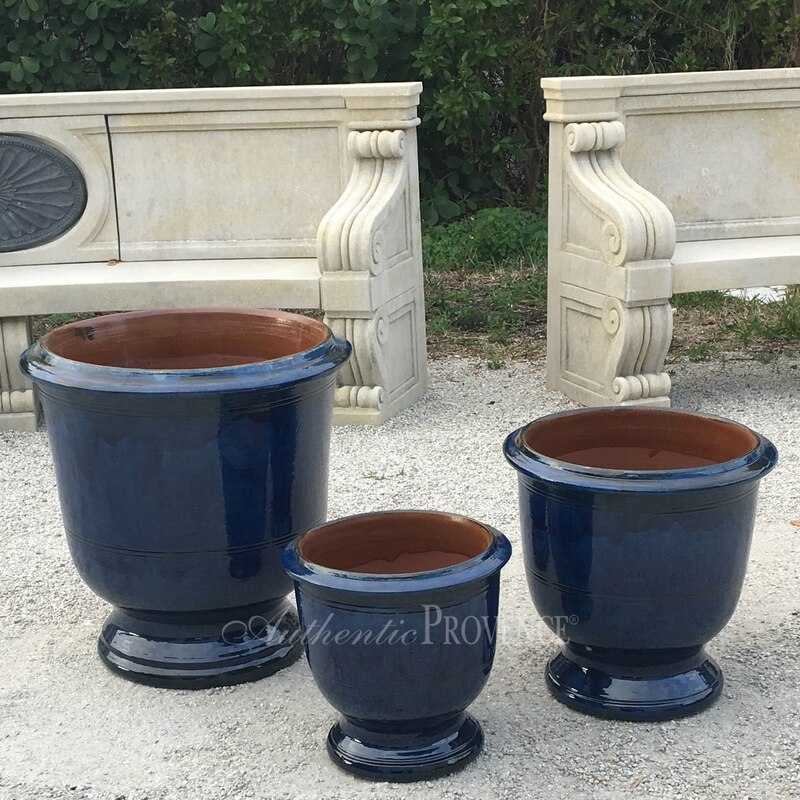 Anduze planters are not frost proof nor frost resistant and should be covered or moved indoors before frost occurs.